Confidential, non-judgmental, and here for you. The PSC is staffed by friendly and well-trained student peer supporters. We provide a welcoming space where you can share your experiences, feel truly listened to, and find ways to resolve the things you are going through. Stressed? Lonely? Feeling down? Or just want to chat? The PSC is ready to hear you out. 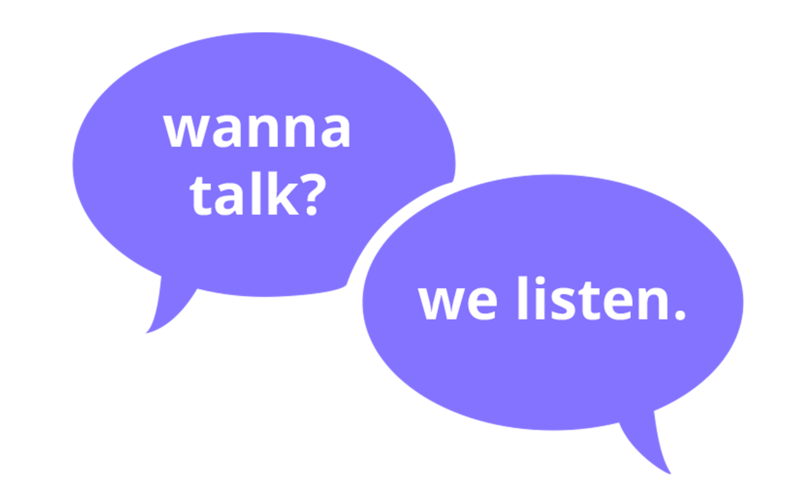 If you need help but aren’t sure where to turn, our peer supporters are also happy to connect you with other resources. Drop-in or make an appointment to chat one-on-one with a supporter about anything on your mind. PSC was founded in Fall 2013 by a group of McGill students with the support of McGill’s professional mental health services. With a vision to make support services more accessible at McGill, they conducted research and talked to similar programs elsewhere in Canada. After a semester of hard work, the PSC opened its doors in Winter 2014. Since then, the PSC has expanded considerably, by becoming a SSMU service, partnering with McGill Mental Health Services and securing a permanent location. With the closure of SSMU University Centre, we have relocated to a new space. We can be accessed on the second floor of 3471 Peel St.